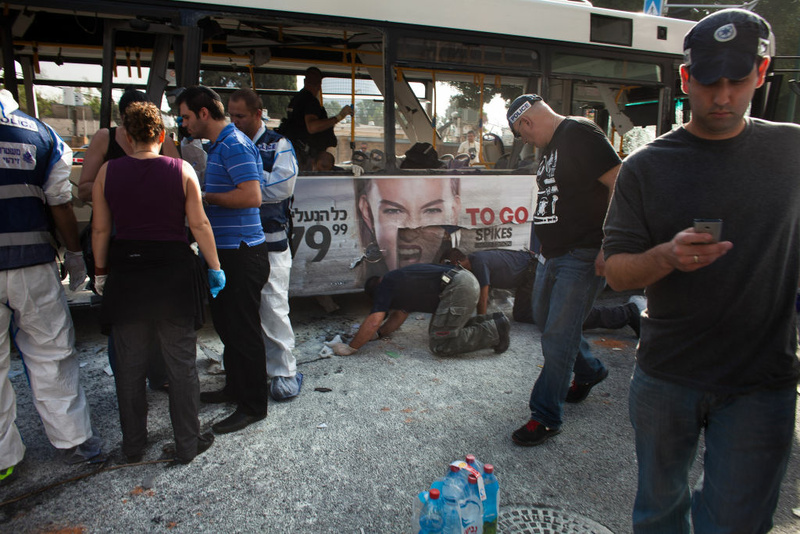 Emergency services respond to the scene of an explosion on a bus with passengers onboard on November 21, 2012 in central Tel Aviv, Israel. At least ten people have been injured in a blast on a bus near military headquarters in what is being described as terrorist attack, which threatens to derail ongoing cease-fire negotiations between Israeli and Palestinian authorities. After a week of fighting, a cease fire has been announced between Israel and Hamas militants in the Gaza strip. More than 140 Palestinians and five Israelis have been killed in the violence. The announcement was just made at a press conference in Cairo held by Secretary of State Hillary Clinton and Egyptian Foreign Minister Mohammed Kamel Amr. The cease fire is set to take place at 9 pm local. Cairo is freelance reporter Noel King joins the show with more information on this breaking news.